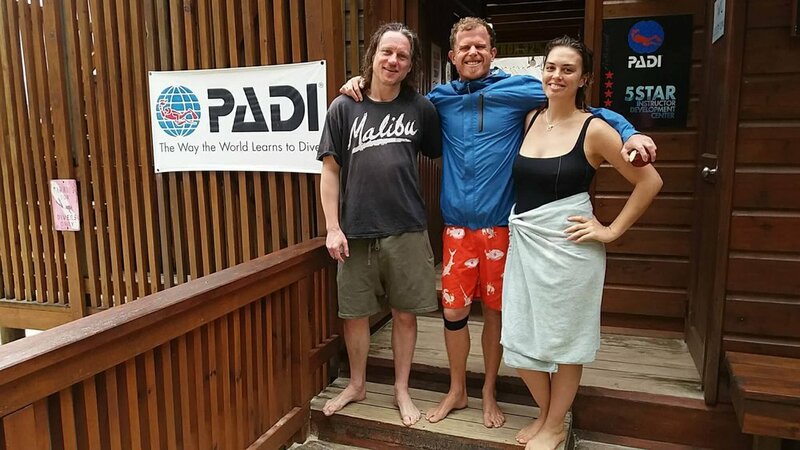 A round of applause to these three enthusiastic divers for completing their PADI Advanced Open Water Course with us. Katie & Kelsie are two friends from college decided they wanted to prepare for some upcoming dive trips by completing their Advanced course. Mark was here diving with his girlfriend who preferred to keep her dive holiday simply by just sticking to fun diving So together they learned how to improve their buoyancy, go for a deep dive and take better photos and videos underwater. The group was always excited and eager to learn how to become better divers. Kelsie and Katie had some extra time and did additional fun dives at our special student rate so they could apply everything they had learned. Nice job Mark, Katie and Kelsie! Brian, Stone, and Martha tried Scuba Diving! 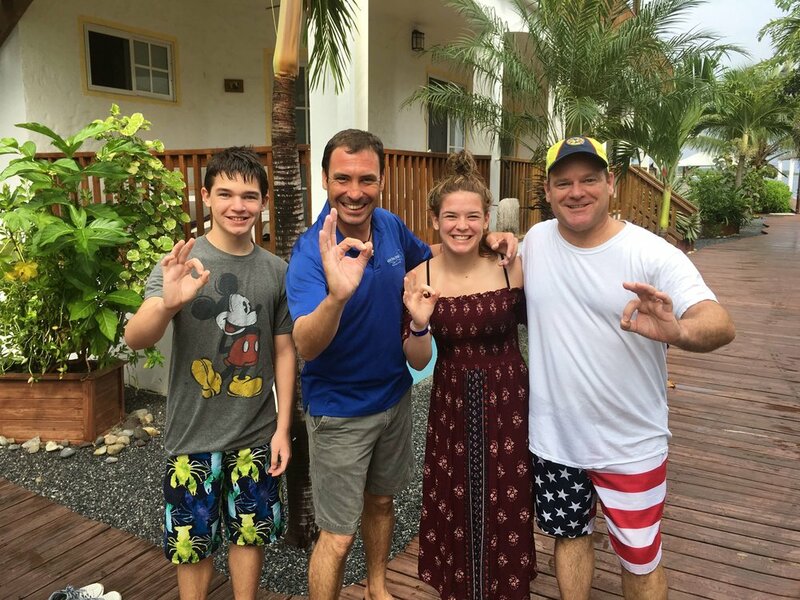 Congratulations to Brian, Stone, and Martha for trying our Discover Scuba Dive experience. They were here traveling over Thanksgiving week on a cruise ship here in Roatan for the day and this was a great chance for them to try out diving here on the Mesoamerican reef. Brian and Stone had previously tried diving before and enjoyed it so much, they decided to do it again this time with Martha. They were attentive and did a great job on their underwater skills in the pool before we took them out in our beautiful Caribbean waters for a dive. We were happy to have them join us for the day and hopefully, one day soon might decide to pursue their full certification. Great job Martha, Stone, and Brian! 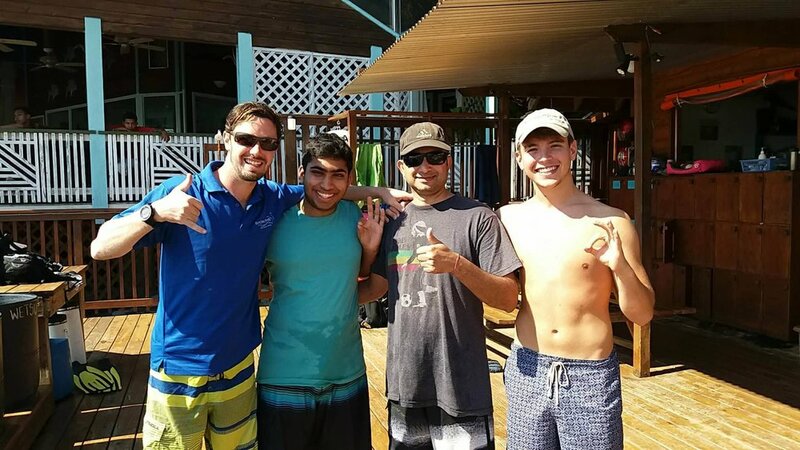 Congratulations to Nivan, Tarun, and Sam for completing their PADI Open Water Diver course with Roatan Divers! Nivan and Tarun were here in Roatan for the week visiting us from Texas while Sam arrived at around the same time from England. The timing aligned so they all three started learning how to become Open Water Divers. They did a great job mastering the theory portion of the course before moving onto the underwater skills in the shallow water. Then off they went to several of our nearby dive locations to put into practice everything they had learned. It was wonderful getting to watch all of them grown and experience the joy of learning how to dive! Sam is planning to live in West End for a few months and has already expressed an interest in doing his Advanced Open Water. Kudos to you gentlemen! Mundi and Iliana tried Scuba Diving! 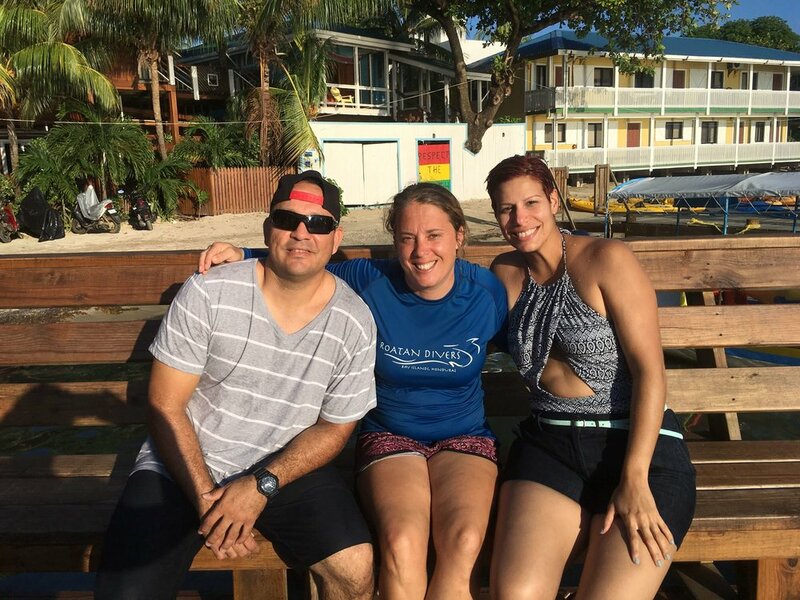 Mundi and Iliana were here visiting us as guests traveling on a cruise ship here in Roatan for the day and decided they were ready to try our Discover Scuba Dive experience. They really enjoyed all their previous experiences snorkeling, so this was a great opportunity for them to explore our beautiful underwater world by going a little deeper. After an extensive briefing, they were ready to go to a maximum depth of 40ft with excellent visibility. 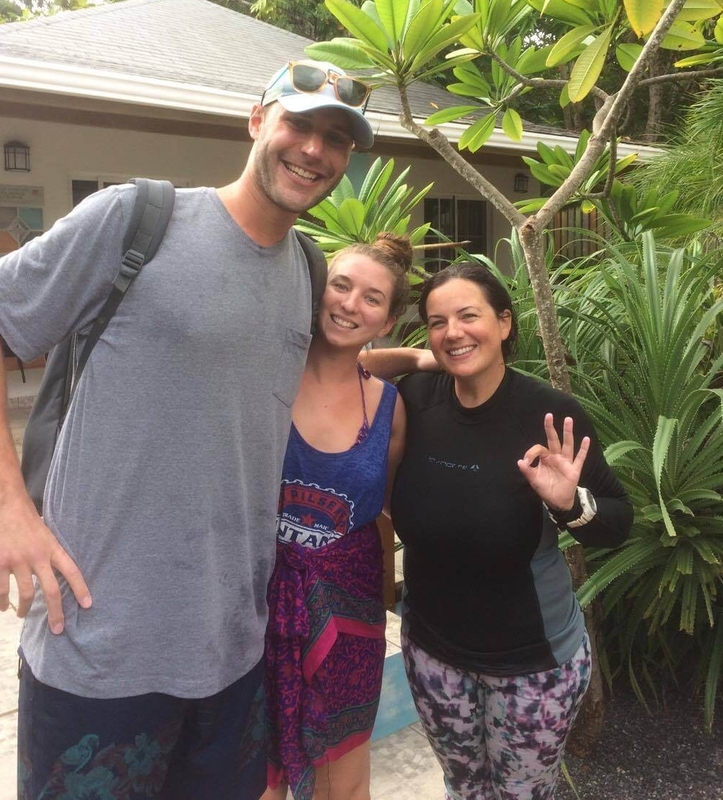 They both loved their first diving experience and since Iliana and Mundi live in Florida, they are now considering pursuing their full Open Water certification. Great job you two! Our next two graduates Fin and Claudia completed their PADI Advanced Open Water course with us. 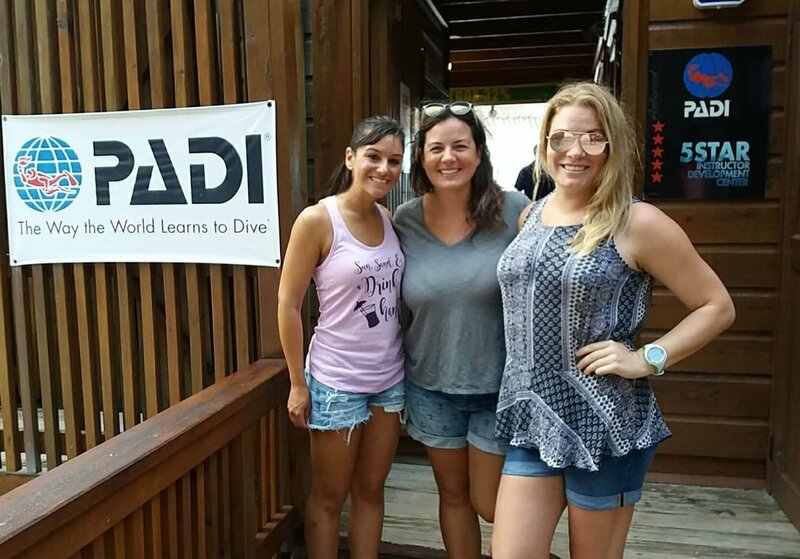 They were visiting Roatan on holiday and were ready to take their diving education to the next level. We enjoyed working with them to help them better understand underwater navigation, drift diving, how to safely do a deep dive among other adventure dives. It was a pleasure getting to know them better both in and out of the water. Nice work Claudia and Fin! Well done to all of our PADI graduates this week and we hope to see them all continuing their diving adventures!